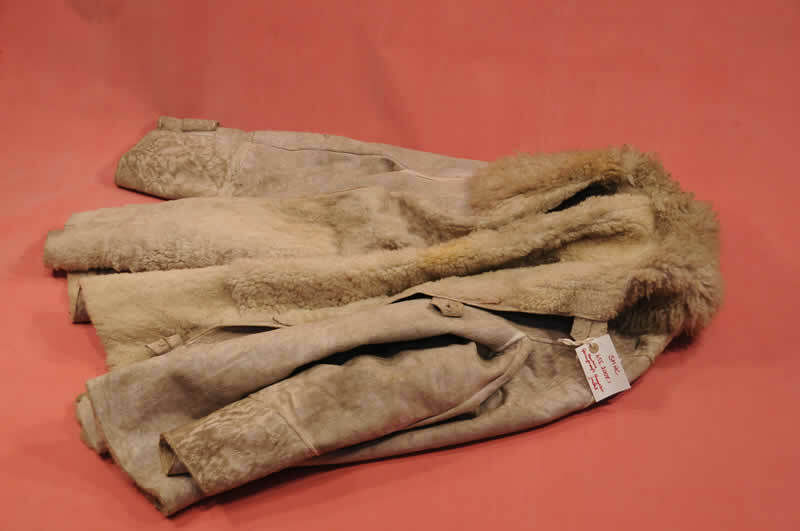 Cream coloured German Mountain Troop's sheepskin jacket. Three buttonholes down front, one on the collar and one on each sleeve. White plastic buttons. From neck 80(l) x 60(w)cms. Sleeve 47(l) cms. Rectangle with "IR16" stamped on back of collar.